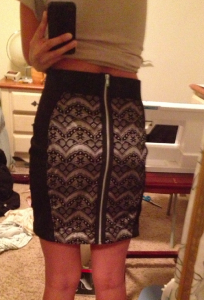 I wore it to my College of Medicine’s Talent Show the next day [yay last minute sewing!] 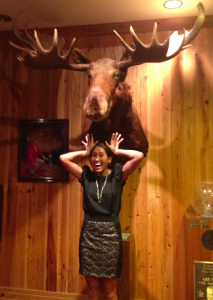 and found a hunting room at the venue, so the moose was a must. @melinda My arms are just all sorts of bendy? cuteee! also, it took me a second to figure out how were holding your phone.